Chris Gayle last played a Test for the West Indies in 2014. Chris Gayle has not ruled out a return to Test cricket after the stand-off between the nation’s star players and cricket board was ended. The 37-year-old has remained part of the Windies’ powerhouse T20 team, winning the World Twenty20 last year, and will make his first one-day international appearance since March 2015 in the upcoming series with England. 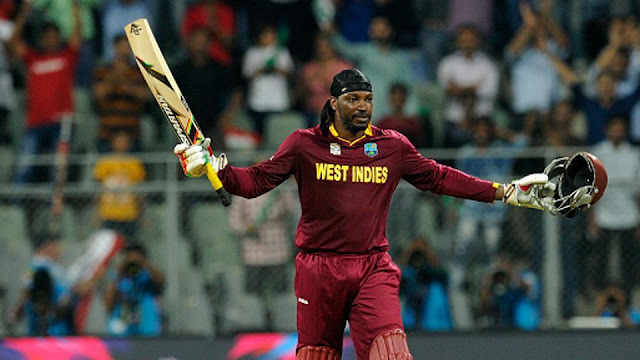 Chris Gayle’s immediate attention, however, is on his ODI return as he sets his sights on the 2019 World Cup. “I’m looking forward to the 50-over [matches] because it’s been two years since I played a 50-over game,” he added. Chris Gayle has not ruled out a return to Test cricket after the stand-off between the nation’s star players and cricket board was ended. Gayle has not represented the Windies in the longest format of the game since 2014, as the West Indies Cricket Board quarrelled with him and other players that have focused on franchise Twenty20 cricket.